Doni Tata adventure races in the 250cc class is over. The Indonesia that will not be there to compete again next year. Doni, who in 2008 achieved one of the points position in the 15 Chinese GP, will not be take part next year after the Yamaha Japan has decided to eliminate their participation in the 250cc class. 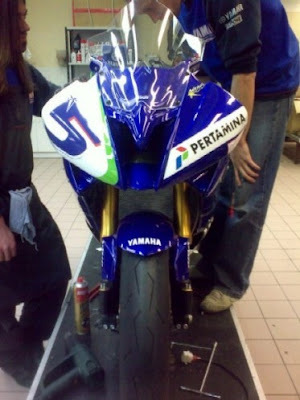 The decision was taken after the game to see the achievement of Yamaha in the 250cc and MotoGP classes. 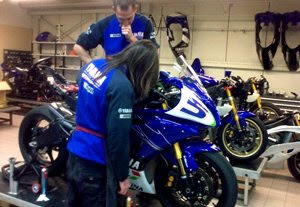 Achievements Yamaha in MotoGP class is a hit in 2008. In addition to placing Valentino Rossi as champion of the world, they also bring success Jorge Lorenzo as Rookie of the Year. Note, indeed, to see if the game is only Doni reach one of the points season. However, it was assessed was not caused by Doni. Yamaha aware that as well as any potential source of Yogyakarta, he will remain difficult to reach if the points are still on his motorcycle season ago. The motorcycle that use ago Doni season-2 motor is not who has long since Yamaha does not develop a few years ago.Doni Tata adventure races in the 250cc class is over. The Indonesia that will not be there to compete again next year. Doni, who in 2008 achieved one of the points position in the 15 Chinese GP, will not be take part next year after the Yamaha Japan has decided to eliminate their participation in the 250cc class. The decision was taken after the game to see the achievement of Yamaha in the 250cc and MotoGP classes. However, it was assessed was not caused by Doni. Yamaha aware that as well as any potential source of Yogyakarta, he will remain difficult to reach if the points are still on his motorcycle season ago. The motorcycle that use ago Doni season-2 motor is not who has long since Yamaha does not develop a few years ago. Doni then be moved to another place first, the Supersport World Championship. Event is a 4-motor racing 600cc not be supporting the event for the Superbike. "In future I will not boast in the 250cc. I will fight in Supersport, "said Doni events in Jakarta Motorcycle Show 2008, Sunday (7/12/2008). 2008 season ago Andrew Pitt (former MotoGP racer) as the first champion in this event, followed by Jonathan Rea (which years ago was referred to the MotoGP will be) in position two. Doni move to this event is related to new regulations for the 250cc class in 2010. Later, the class will be using the 4-stroke is not so with the 600cc engine, moved youth aged 18 to the Supersport World Championship event is intended as a self-adaptation process. Step Doni Tata Pradipta the plan this year's join to World Supersport championship (WSS), the more steady. Last week (3-5/1) Doni start trying Yamaha motor with 600 cc circuit in Portimao, Portugal with MG Competition team from France. In cool conditions and erratic weather, not the maximum Doni do testing. The plan test weekend before he returned to the same circuit. Doni will be back with the introduction of 600 cc motorcycles in Japan mid-December. However frustrated too. 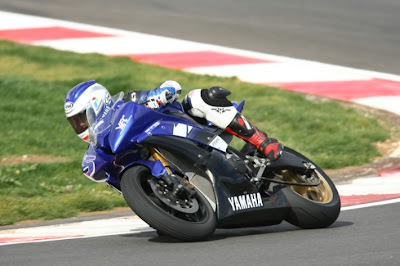 Then in the Sentul circuit (4-8/1) use a standard motor Yamaha R6 Superstock and Supersport motor from France. Again canceled, because as Edmond Cho his manager, directly on to Portugal. Perhaps because this has not explained the presence of the French motor. For Doni never in doubt, if motor has arrived at Jakarta port, is it right out. Consequently, the departure to Portugal faster from the original schedule mid-January. In Portimao yesterday, Doni undergo training with about 25 drivers. "But the test is private, so the drivers come here from different classes," said Doni via telephone. He accompanied the team two mechanical MG Competition, Olivier and Flo. The GP 250 years ago this provided two of the motor MG Competition, motor Yamaha R6 Superstock and Supersport. Doni has spin a new 600 cc motorcycle. "The first day in Superstock motor, for introduction to the handling and motor adaptation. The next day try a new Supersport motorcycle, "he said. Unfortunately the second day of second test try motor model, the weather does not support. When riding motor Supersport so that when ultimate fight in the world championship later, the rain came down. Exercise a bit upset because they do not have stock of wet tire. But he can start a picture, "The difference between the far Superstock and Supersport motorcycle, although the same 600 cc. 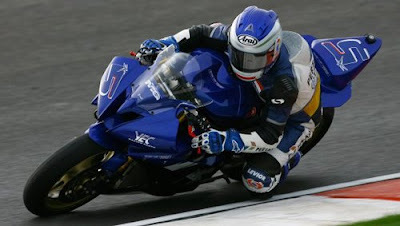 Supersport motorcycles much faster, because the Superstock a standard motor, "he explained. So the difference is about power, lap Supersport motor down faster, suspension also different (brands already use Ohlins). In addition, he also tried various settings clutch. 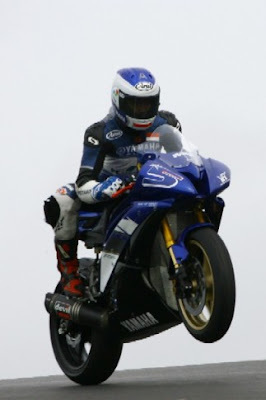 In general, Doni confess Superstock motorcycle ride when there is no problem. With Supersport, although motornya good but it is still necessary adaptations, including better physical preparation, because years ago he used to ride motorcycles 250 cc. Supersport weighing about 155 kg while the motor 250 cc 100 kg. Supersport motorcycles comparison with the iron horse 250 cc, especially concerning the handling. In the Supersport I can be aggressive, "It should be smooth but light-footed. Handling extra weight, especially if the curve, "Doni dust. Moreover, the air temperature -5 ° C, does not make tires fungsion perfect. Doni will plan to return to Portimao, 18 January for the pilot. Then the next sunday to Valencia. Doni scheduled also undergo formal training in Australia. He will continue to be accompanied Edmond Cho. Unfortunately, the man who always called "Obos" is difficult to be contacted for take some information. At least the name of the team, because you never Obos will have a team name for Doni. While this is still MG Competition, was appointed principal partner of Yamaha Japan. MG Competition has long been a relationship with Yamaha Motor Company Japan. Martial Garcia owner, quite famous arena in the Superbike and Supersport. He never handle Sarron Christian world champion 250 cc GP in 1984. Also pull up Norifumi Abe in WSBK. Feels so sad for the Doni, after hearing that Yamaha Japan has decided to eliminate their participation in the 250cc class. Is it true that Yamaha Japan has decided to eliminate their participation in the 250cc class. The news just came as a surprise. It was a shocking one but in the end everything is well. The second day was really an unfortunate one with the bad weather and upon that the later that day it rained. What a loss? No hard feeling buddy but don't compare 2 wheel to 4 wheel vehical. people who love bikes only they can tell about it.so cars and bikes are two different choices.i love bike then definately i will go for it. A biker can never give up,doni was back on track.because bike racing is like drug addiction.only a biker can understand. I think so bike is a dangerous activity.so spending money on bikes is only wastage of money. Whats up very nice web site!! Guy .. Beautiful .. Wonderful . out so many useful information here within the submit, we'd like develop extra strategies on this regard, thanks for sharing. . . . . .
of information in such a perfect manner of writing? I've a presentation next week, and I'm on the search for such info. Trang tai facebook tieng viet cho tất cả các dòng mobile. Các bạn có thể online ở bất kỳ nơi đâu với tai facebook để có thể online ở bất cứ nơi đâu nhé! tai zalo về điện thoại Nokia , tai ung dung zalo cho dế yêu, kết nối với bạn bè nhanh nhất , tai phan mem zalo - ứng dụng chat và gọi miễn phí trên mobile , download zalo, Zalo cho phép bạn có thể tạo và tham gia các nhóm trò chuyện, chia sẻ thông tin với bạn bè, đồng nghiệp và gia đình một cách thuận tiện nhất. Bạn có thể tạo một nhóm và mời bạn bè mình tham gia, hay đơn thuần tạo một cuộc trao đổi nhanh.